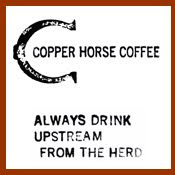 Most coffeehouse spaces within urban environments tend to be getting smaller and more chic with each passing day. I've been to quite a few spots where 'standing room only' would be a generous claim and one place that I had to literally hold my coffee above my head so it wouldn't spill. Now, I will weasel into a bear den for good coffee, but occasionally I like large, open spaces. 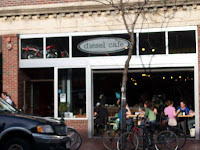 And Diesel Cafe in the Boston area had much more then open space; they had the seating of a truck stop. 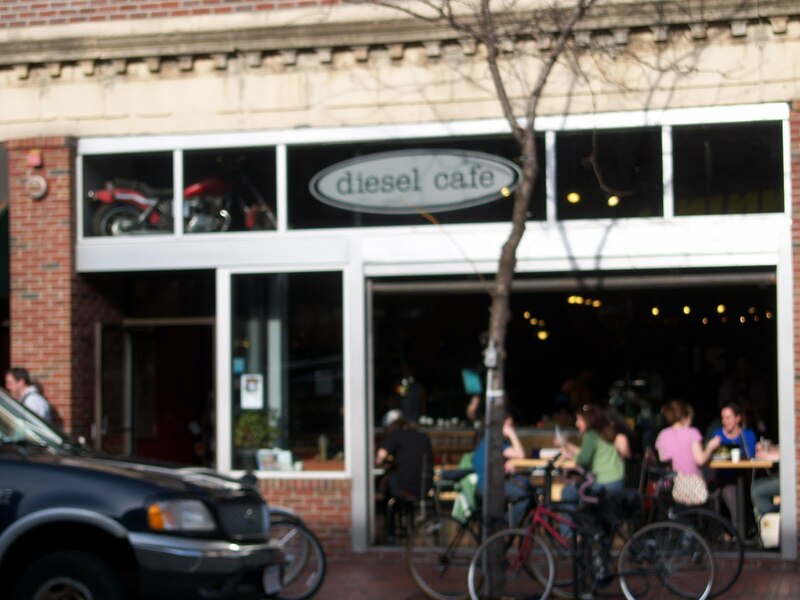 Diesel Cafe is a cafe located right off the Davis T stop (north of Boston) nestled amidst a cute main street area. The front of the cafe opens up in nice weather, which made space for the line of customers moving into their industrial, choc-full-of-local-and-vintage art space. Diesel serves up Intelligentsia, one of the few spots in the city not serving up local beans. 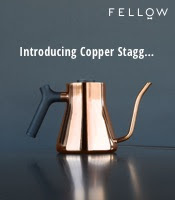 I ordered a cup of the New Guinea via drip, a brew that proved bright with notes of sweet potato, celery, a little unsweetened cocoa, a bit of a dark body and a little staleness (had been in the pot too long I think). The espresso, Intelly's Black Cat blend, was pulled short with fair crema and had the flavors of sweet chocolate milk, lime, a prominent saltiness, cola and some merlot. Overall, the espresso didn't sample like usual Black Cat, but it was still decent. The tea is free leaf. After camping out in the cafe for a little while, I developed a decent impression of the joint. Sure it could use a few minor refinements (the lighting wasn't the best and the drip shouldn't taste stale) but in the end, it was a good experience. Give Diesel a stop if you're in town. This is a really nice blog. Well developed thought into each post, but at the same time simple and to the point. Thank you for the review. Going to Boston very soon and wanted a coffee shop to check out!